Mary Ann "Polly" Palmer, daughter of William and Jane Gill Palmer, lived in Oquawka, Illinois with her first husband, William Cousland, and their three children, Jane, Sumner, and Phebe. Some of the family are buried in the Oquawka Cemetery. William Cousland died in 1846 and Sumner in 1853. Jane Cousland Mickey died in 1915 and her husband Samuel Mickey in 1894. Also buried here are four children of Samuel and Jane Mickey: William, Gracie, and unnamed twin daughters, as well as George H. Darnell, infant son of Joseph and Phebe Cousland Darnell. James Cousland, brother of William Cousland, has a stone here, partially obscured by the trunk of a tree. 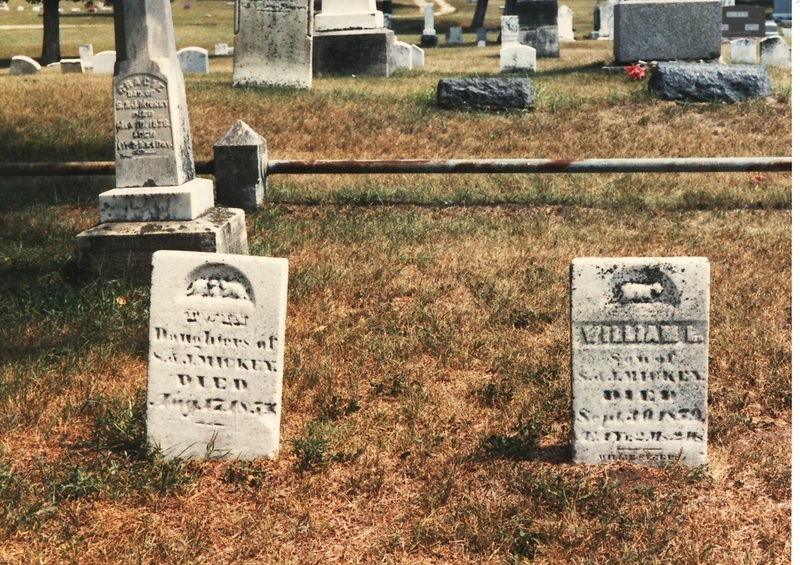 Mary Ann, who remarried to Levi Wilkinson, is buried in Oak Lawn Cemetery In Oakland, Iowa. Cousland-Mickey plot, containing the graves of William Cousland, first husband of Mary Palmer; Sumner Cousland, son of William and Mary Palmer Cousland; Jane Cousland Mickey, daughter of William and Mary Palmer Cousland; and Samuel Mickey, husband of Jane Cousland. Another view of the Cousland-Mickey plot. Gravestones of children of Samuel and Jane Cousland Mickey. Back: Gracie Mickey, died 1876. Front left: twin daughters, died 1857? Front right: William, died 1859. 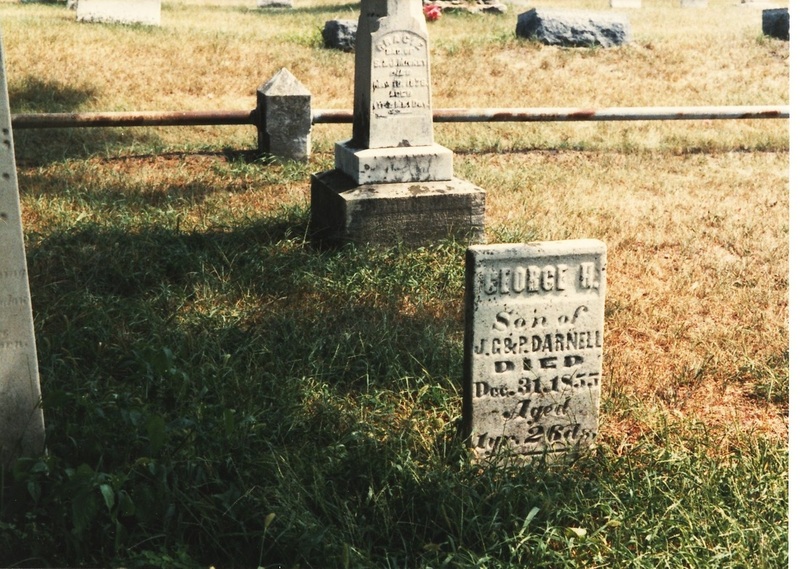 George H. Darnell, son of Joseph and Phebe Cousland Darnell, died 1855. James Cousland, brother of William Cousland.